Ground Floor Area : 177 Sq. Mts. First Floor Area : 177 Sq. Mts. 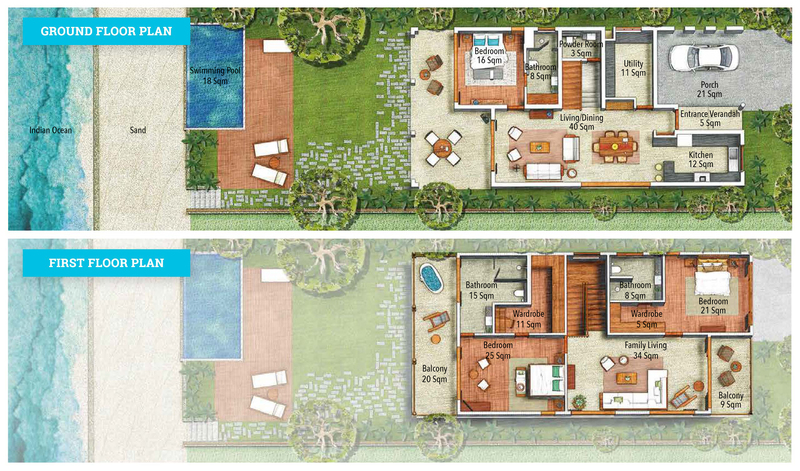 Total Villa Area : 354 Sq. Mts. Swimming Pool & Deck Area : 48Sq. Mts. Plot Area : 500 Sq. Mts. This layout has been produced for illustrative purposes only and all information contained herein is solely intended for guidance and should not be construed as a formal contract. While every attempt has been made to ensure the accuracy of the plans shown, it should be noted that all measurements are indicative and the artistic impressions may vary from the final product.